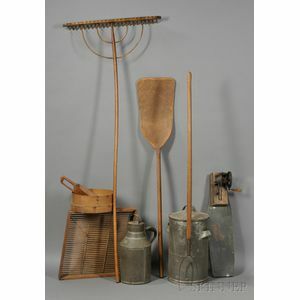 Nine Shaker Farm and Household Implements, 19th/early 20th century, a hand-hewn maple shovel, an ash and iron pitchfork, and an ash rake with maple handle, lg. 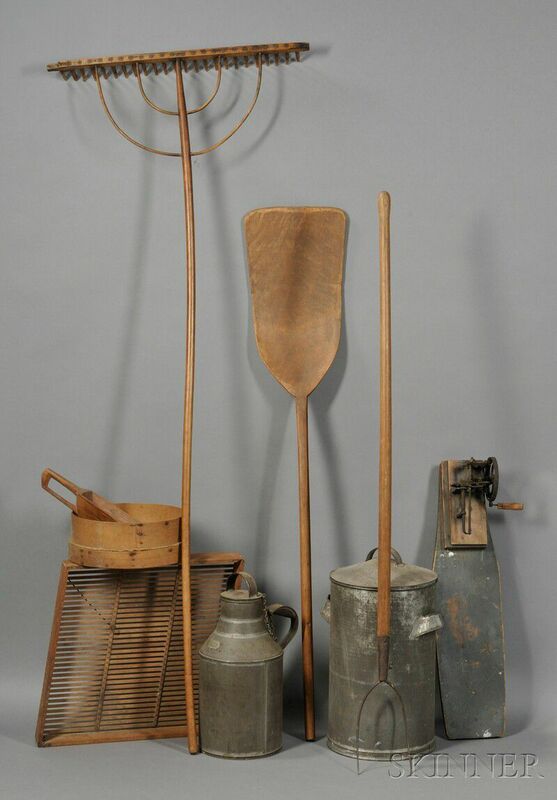 55 1/2, 57 1/2, 71 1/2, respectively; a cast iron apple peeler mounted on a board, a lapped-seam ash and woven horsehair sieve, a maple sieve with applied Meredith Village, New Hampshire, paper label, a hand-hewn pine scoop with integral handle, and two tin canisters with covers and handles, dia. 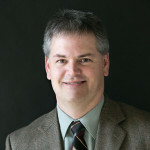 12 1/2-27 1/4 in.